CONSTANTA, ROMANIA – SEPTEMBER 11 2016: Black Sea Tall Ships Regatta is an international unique event taking place every year. Russian full rigger Mir. hd00:08CONSTANTA, ROMANIA – SEPTEMBER 11 2016: Black Sea Tall Ships Regatta is an international unique event taking place every year. Russian full rigger Mir. hd00:10STAVANGER, NORWAY - JULY 28: Russian three masted barque MIR on July 28, 2011 in Stavanger, Norway. 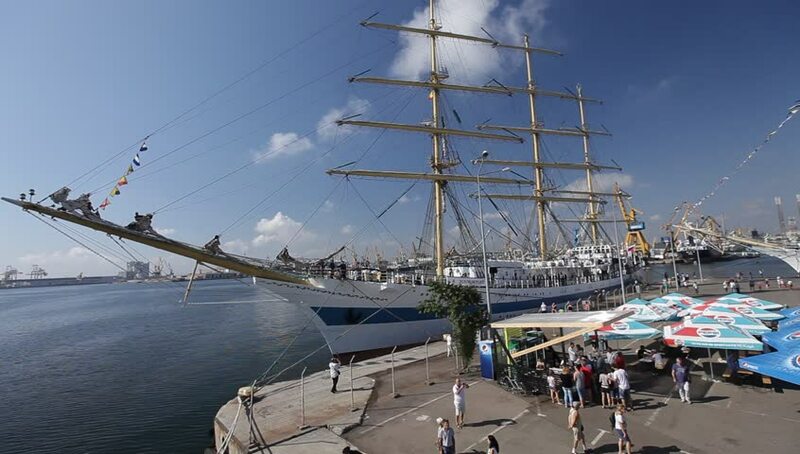 MIR is one of the fastest modern sailing ships. hd00:17EL NIDO, PHILIPPINES - JANUARY 31, 2014 : Boats waiting for tourists to travel between the islands. El Nido is one of the top tourist destinations in the world.